Pirates were notorious for carrying a wide assortment of weapons, and not all of them were always visible. 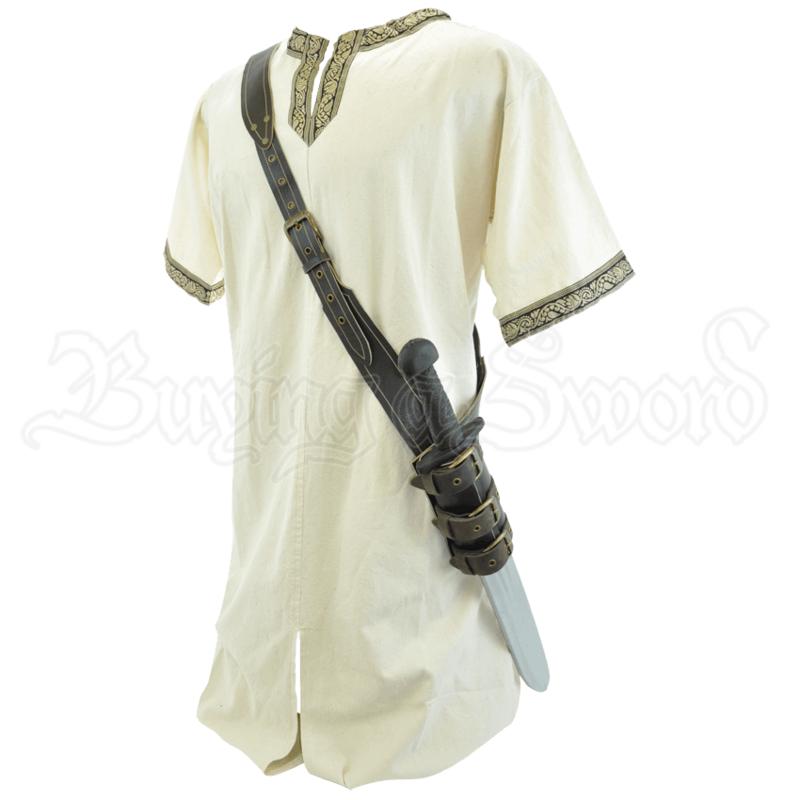 This Pirates Baldric is a great way to carry a blade or a pistol in open view, showing off your preferred weapon in a fight. This baldric is completely adjustable in many different ways. Like a traditional baldric, it is worn over the shoulder, suspending a frog at the side of the waist for easy carrying and use, while keeping the weight of the weapon on the shoulder, as opposed to on the waist. This baldric is available in two different colors, with the black baldric being all black, while the brown baldric is stitched and features a simple gold-yellow line along the leather. The front of the baldric features a buckled closure for adjusting its size and fit, while the frog on the baldric features three buckled closures, allowing it to be adjusted to accommodate all manner of different weapons. Comfortable and easy to wear, this Pirates Baldric is a great way to keep your weapon at your side, whether you are a salty sea-sailor off to pirate the trade routes or a lawful navy man, off to defend the merchants from villainous pirates.